I’m not much of a drinker so I have no idea if such a thing exists and though it may not make much sense as a cocktail I love the color combination! I’ve always been fond of green in all it’s shades, from lime green to khaki and grayish green. Today (as some f you know from my tweets) I went to Athens Heart, a mall in which you can find brands such as Tally Weijl, H&M, Accessorize and many more. I visited the first two and got some nice knits and a few other stuff at great prices. You know me, I’m always up for a good bargain! Everything is from Zara except for the bracelets that I bought today from H&M (2,95€). The earrings are old, bought locally. Do you like malls or you prefer small local shops? I love the lime on you! Plus it works better on brunettes than blondes so good thing you changed the hair do! The belt is fab as well and your eyes are a beautiful colour! Τέλειο! Το πράσσινο είναι και μένα από τα αγαπημένα μου χρώματα! 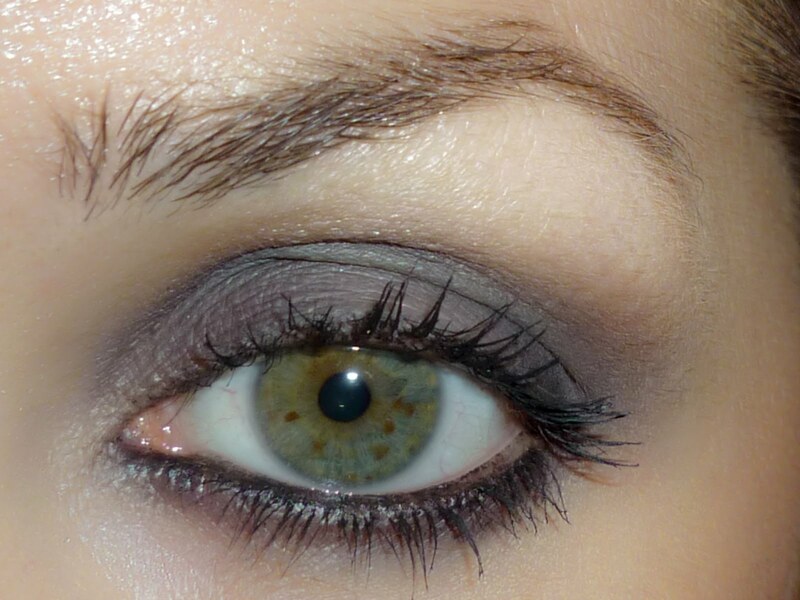 Μου άρεσει όλο το look!!! Έκανες ψώνια σήμερα ε;; Τέλεια..
Εμεις δεν έχουμε εδώ Tally Weijl αλλά μου αρέσούν και όταν πηγαίνω Ελλάδα τα τιμώ και αυτά δεόντος! Tι υπεροχο χρωμα αυτο το πουλοβερακι!! χαζευω τα μαγαζια,ψωνιζω μερικες φορες κ σχεδον παντα τρωω στο Route 66! Really loving that t-shirt with the sweater! Hey Arietta, thanks for stopping by... I'm cool thanks! Just lots to do! I am so loving the chartreuse colour on you! What a great look... it's gonna get cold from tomorrow! So wrap up! I'm sure if you put some vodka in Kiwi juice it would make a cocktail near that colour maybe? I love all the layers you have on and the colour combination. 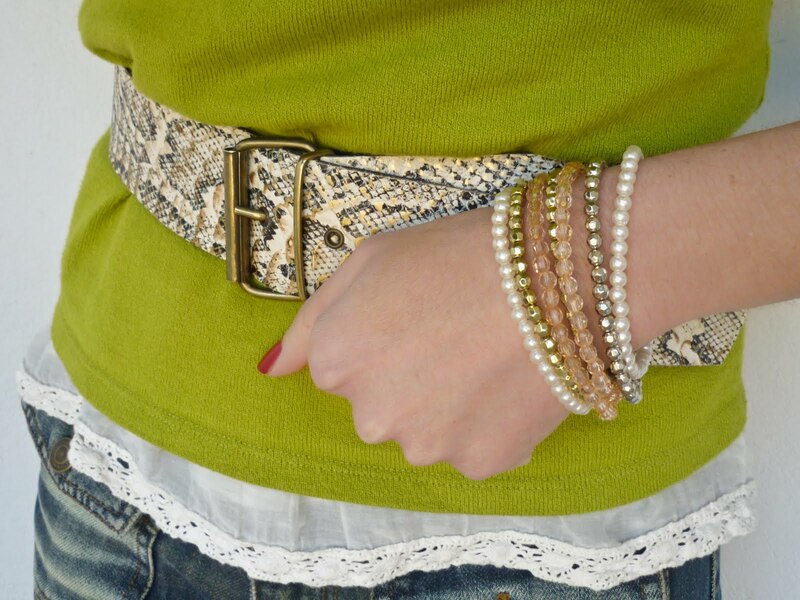 love the belt and earrings and that green is my favorite color! You look so cute in this lime sweater! Personally I've come to the conclusion I can't wear bright colours, it makes me feel uncomfortable. Either that, or I haven't found sth bright to blow my mind yet, lol! @ Artemi: Σ'ευχαριστώ καλή μου Άρτεμη. Στο Route66 δεν έχω φάει ποτέ, να το έχω υπόψη μου. Αλλά συνήθως επισκέπτομαι το μαγαζί με τα υπέροχα Pretzels (και παίρνω 4-5!). Φιλάκια!!! @ kot-itsa: Χαχα, ναι είμαι κι εγώ τσαχπίνα γι' αυτό! Σ'ευχαριστώ Μαράκι! Φιλιά! @ Μοντέρνα Σταχτοπούτα: Καταρχήν σ'ευχαριστώ για τα καλά σου λόγια για το σημερινό look. Όσο για τη φωτογράφηση της Toi Moi, δεν έχω ιδέα! Πιθανώς να μην γνωρίζουν το blog μου! another cool outfit and make up! And also, well done on the project, keep up the good work!